This week I made a couple of quick crochet cowls. One is for my sister for her birthday, the other is for me. 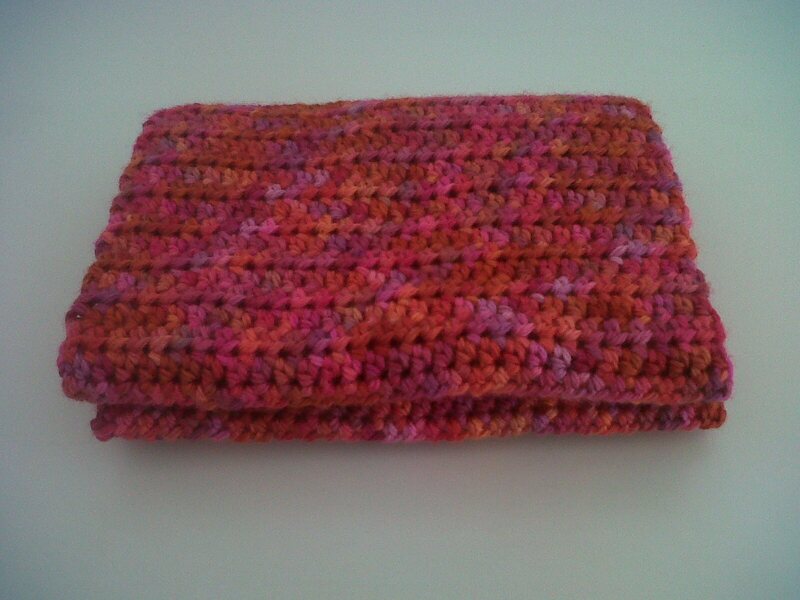 Its very simple just rows and rows of UK double crochet stitch. I made it it one long piece and joined the two ends together with some slip stitches. Nothing fancy, but I've really enjoyed making them. They each took a couple of days to make and they were nice easy crochet, perfect for hooking whilst I watch TV etc. 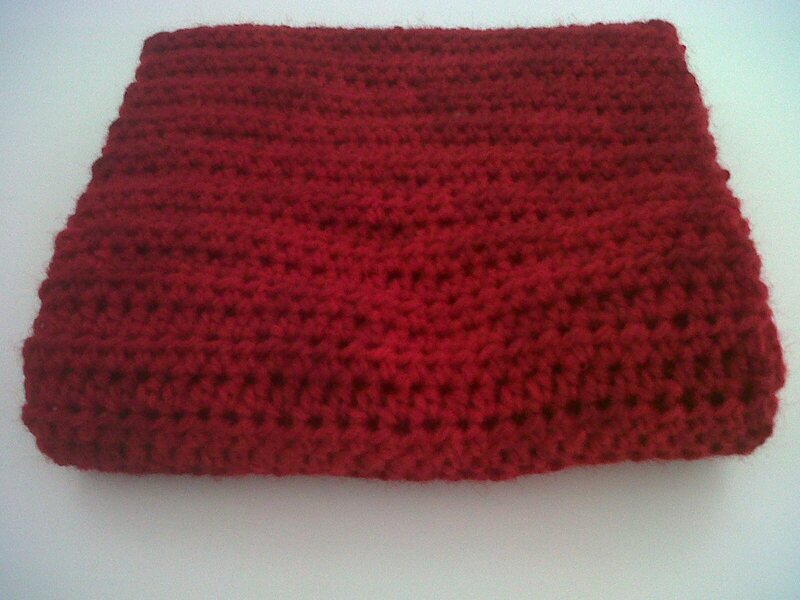 The red one has ended up a couple of inches longer than the pink one and the difference between crocheting the cowls was surprising. The silk mix just flew through my fingers, where as the BFL felt slightly sticky and seemed to take more effort to crochet. Its probably worth it though as the finished product feels more durable and long lasting than the silk mix. The red dye also came off on my hands. I do sometimes have dye come off on my hands but not usually this bad, it made the Husbeast laugh when he saw it. It gave the saying "caught red handed" a whole new meaning as there was no way I would have been able to pretend it'd been doing housework when I'd been crocheting! Not that I ever do that the Husbeast is far to well trained (bullied) to think I should do housework instead of craft!